Many companies appropriately consider the HR department to be the heart, soul or nerve center of their business. Regardless of the metaphor you use to describe human resources, it’s undeniable that professionalism and experience are sorely needed in such a workplace hub. Uniforce understands that you need quality HR role players, many of whom wear a variety of hats, whether your company has tens, hundreds or thousands of employees. If you need a temporary HR assistant, an experienced full-time recruiter, a savvy benefits administrator, a detail-oriented payroll specialist, a proven HR director or anything in between, Uniforce is ready to assist. Our HR employee candidates possess a wide variety of talents, including knowledge about ACA compliance, 401k census discrimination testing, FLSA non-exempt vs. exempt coverage, paid sick leave compliance, payroll compliance, employee handbooks, workers compensation audits, and familiarity with technology such as ADP Enterprise and ADP Workforce Now. Highly competent HR generalists, HR assistants and recruiters. When you need someone to fill an HR generalist position, Uniforce understands that you need a candidate who contributes to the corporate culture that makes your company a special place to work. The HR generalist must have good interpersonal skills, so that he or she is considered an employee resource, capable of communicating policies and procedures, and addressing employee concerns or complaints, such as harassment or discrimination. The HR generalist may be tasked with reviewing federal and state regulations, and make changes to company policies and procedures to ensure compliance. This role may also include participating in recruiting functions and administration of employee benefit programs. Employee orientations and staff trainings are other responsibilities that may fall within the role of a human resource generalist. An HR assistant may be required to help with any number of HR tasks, from recruiting and benefits administration to policy updates and communications. Managing job postings, coordinating candidate interviews and employee orientation tasks may become the shared responsibilities of an HR assistant. Likewise, an appropriate candidate for an HR assistant role should be the type of individual who is a team player, with the skill set required for organizing a variety of company events, from job fairs to holiday parties and beyond. Uniforce understands that the role of an HR assistant may report to any number of HR staff members, and be ready to contribute where needed. Excellent staffing solutions for recruiters begin with our ability to provide the right candidate, typically an experienced and tenacious employee. Recruiters must understand your corporate culture, department needs and work processes in order to locate candidates that are a good fit for your hiring managers or directors. At Uniforce, we understand that new business opportunities often go hand in hand with recruitment capabilities to staff the right employees in a timely fashion. Obviously the best recruiters are adept at using appropriate job boards and digital media, such as LinkedIn, Indeed, CareerBuilder, Monster and others. Beyond where to search, recruiter staff provided by Uniforce are adept at drafting job posts that resonate and analyzing resumes in order to increase hiring campaign efficiencies. HR Coordinators, managers and directors lead by example. At the highest levels of your human resources department, depending on corporate structure, you may be looking for an experienced top notch HR director or HR manager to oversee and implement employment policies and procedures. Often times the HR director or manager will report directly to a C-level executives and be an active participant within the highest levels of management. Create job descriptions and organizational job charts. Establish and communicate policies regarding employee attendance, holidays, vacation and leave, including FLMA and personal issues. 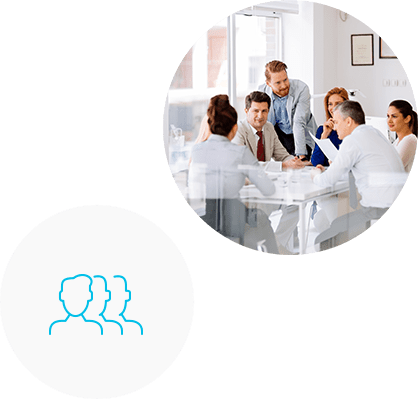 Manage employee benefit plans, including interfacing with brokers, benefit providers and employee communications. Create processes and procedures for hiring, onboarding, orientation, training and termination. Develop performance review evaluations, in conjunction with management staff. Assist department heads with handling employee issues, including disputes, promotions and demotions. Manage HR staff, including HR generalists, recruiters, payroll specialists, HR assistants and benefits administrators. Establish, implement and review policies and processes for maintaining compliance with local, state and federal laws and regulations. Due to the ever-changing nature of business, the human resource needs of your company are bound to shift from time to time. Because HR is the one department that all others turn to for guidance, your human resource staff needs to be as good as it can be. If you’ve got HR needs, Uniforce is here to provide reinforcements. If you’re a top notch HR professional looking to contribute to the success of one of our clients, let’s connect.